I grew up in Tottenham in North London, a neighbourhood where deprivation played a massive part in one’s upbringing. I was fortunate enough to have come from a very good and stable upbringing, as my parents were extremely supportive. Having studied at a Catholic School I received a good education as well as gaining values and responsibilities which were vital to my development. Despite all this, there were always hurdles I felt I had to jump due to the area I grew up in. But what really struck me was that we were probably one of the lucky ones, as there were people in the community who were having to jump bigger hurdles, from low household incomes to overcrowding, poor living conditions and lack of decent care for the elderly. In some cases, a few found themselves in trouble with the police and authorities. This hindrance meant they were always at a disadvantage at school and when it came to employment prospects. Because they weren’t equipped with the correct skills, training and guidance, which limited their employment options or their ability to perform at work. For this reason, getting involved in politics gave me the opportunity to influence and act on issues that directly affected me and my community. I believed getting involved in public life was the only way I was going to bring about the change I wanted to see in our community. My involvement with Citizens UK allowed me to be that voice for many young people from North London, Tottenham and the wider community, expressing and highlighting the issues we faced growing up. I was invited to meetings with Al Gore, David Cameron and Prince Charles, which was a true honour and an excellent experience. I was invited to be part of the Commission investigating the London Riots in 2011 because of the various involvements I have had in the past with North London Citizens. This was one of the reasons I was invited to join the local advisory board of the STYLE project. My involvement in the inquiry allowed me to really understand what was causing this divide and hostility in my community. We narrowed it down to four main priorities which needed to be tackled. Firstly, powerlessness, as many (especially young people) felt they didn’t have a stake in their community and were normally let down by local communities or the establishment. Secondly, we also found that there was a breakdown of trust and respect between the police and community. Thirdly, the reputation and condition of Tottenham – many people identified the cause of the riots as due to the aesthetics of Tottenham. Lastly, the lack of opportunities available, and the need for better education, and more vocational training for young people. 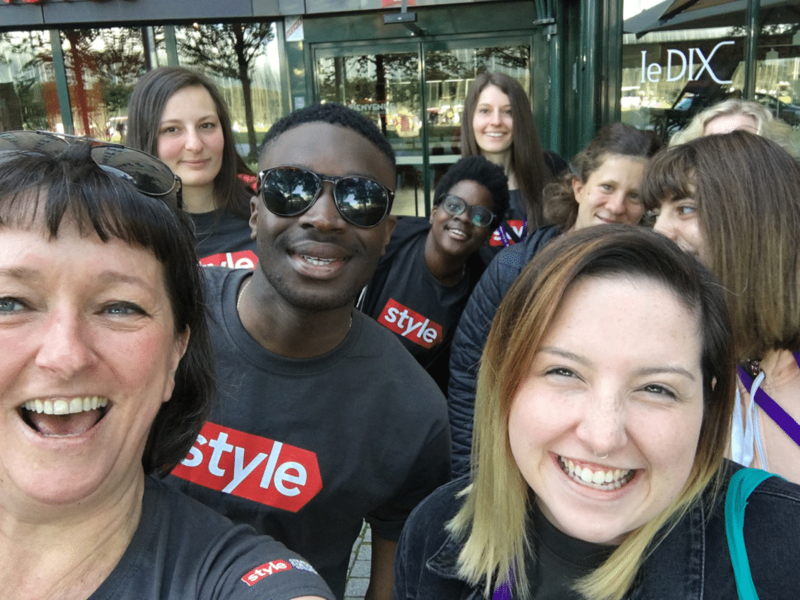 What I found interesting with the STYLE Project was being able to learn more about unemployment in different states and comparing the reasons behind why young people were not in employment. There were similarities with the causes of unemployment, for example particular ethnicities and groups were either more or less likely to be employed, which I saw frequently in my work, and I was able to discuss this when Jackie O’Reilly and Carolina Zuccotti presented their research findings at one of the meetings I attended. However, what I saw that differed was the emphasis around apprenticeships and how beneficial they were in terms of preparing young people for work. What also struck me and was a point I never considered when looking at this matter was the attention on job security and how that played a part, as what you saw in some countries was that it was harder to dismiss an employee, which was taken into account when looking at youth employment. I also really enjoyed participating in the trip to Strasbourg.